TomTom reports that the worst snow for 13 years caused 388 traffic jams on major roads earlier today. TomTom's HD Traffic, a live traffic service updated every three minutes, showed 1,086 miles of traffic at 08.28 this morning on major roads, with the longest queue being 32 miles at 07.30 on the M25 (between J19 Watford and J8 Reigate). If you are not lucky enough to be able to work from home today, then TechRadar can only advise you to take it very easy on the roads. TomTom adds that: "On the M27 at 08.02, there were delays of 1 hour and 27 minutesbetween Junction 11 (Fareham) and the M3 interchange, making it the longest jam in terms of time waiting. 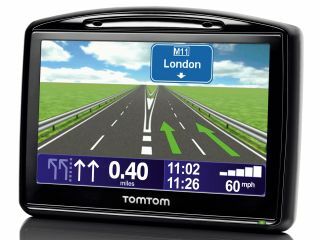 TomTom High Definition (HD) Traffic is available on the TomTom GO LIVE range of satellite navigation devices.